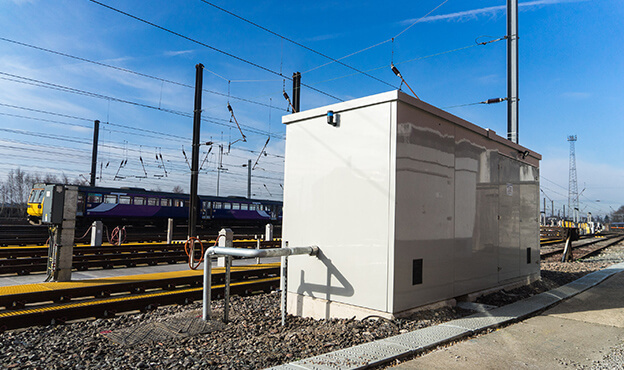 Spencer Group worked in collaboration with Network Rail and Hitachi on the upgrade of eight Light Maintenance Depots (LMDs) to design and build improved maintenance and servicing facilities at existing East Coast Depots for Hitachi Europe. 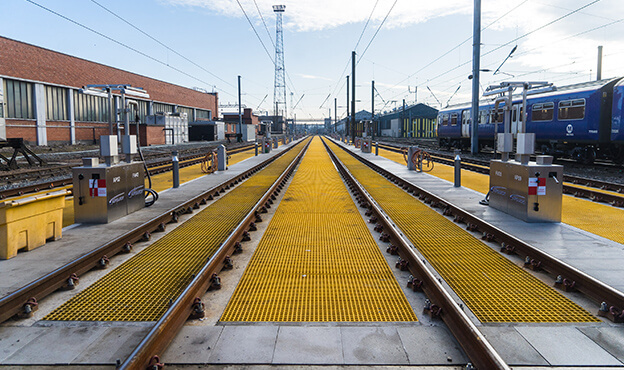 Neville Hill in Leeds required a full refurbishment of the depot ready for the arrival of the new fleet of Super Express Trains. 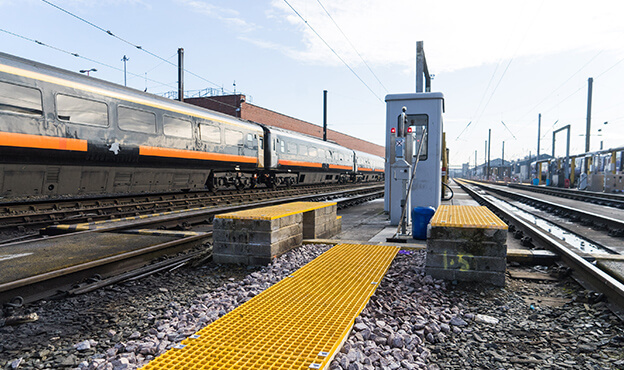 As part of the IEP Depot framework, Neville Hill involved the design and build of four new rail roads to accommodate the new Hitachi 800 biofuel trains. The works included constructing incorporated trenches and troughs, installing new AdBlue and Fuel Dispensers with the associated pipework, connecting new and amended drainage (including a new vacuum pumping main chamber), building a new AdBlue pump house and fitting additional lighting. 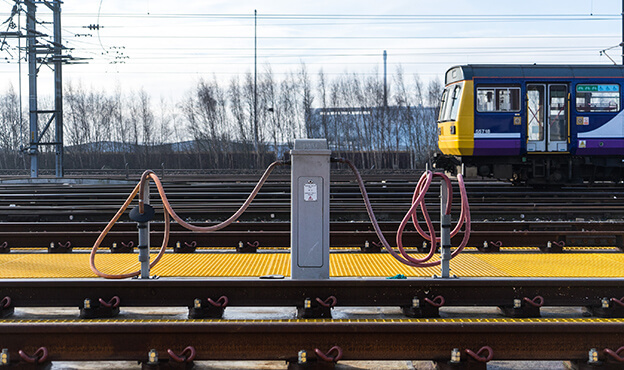 The works had to be carried out sequentially with the other 6 depots on the framework as only one depot on the East Coast Main Line can be closed at any one time. Spencer’s created a detailed programme of the entire framework to ensure works do not overrun and affect other sites. Hitachi, Network Rail and Spencer Group formed a close relationship throughout the works, resulting in a smooth and successful delivery. We minimised our impact on the local area throughout, with zero noise complaints during the works despite the residential area surrounding the depot. Spencer Group provided a shuttle bus to the site due to limited local parking, to ensure that disruption from additional depot traffic was minimal. Steffan Thrower, Hitachi, stated: “The quality and safety of the work Spencer Group carry out has been excellent throughout, and I’d like to pass on my personal thanks to the hard efforts of your project team”. 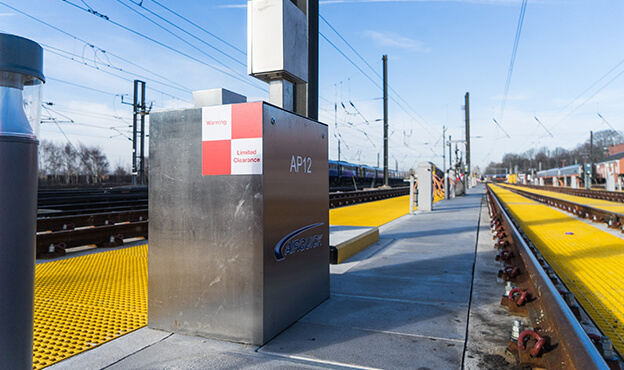 Spencer Group successfully interfaced with depot staff and stakeholders for the duration of the works to deliver the upgraded depot for the arrival of the new trains.